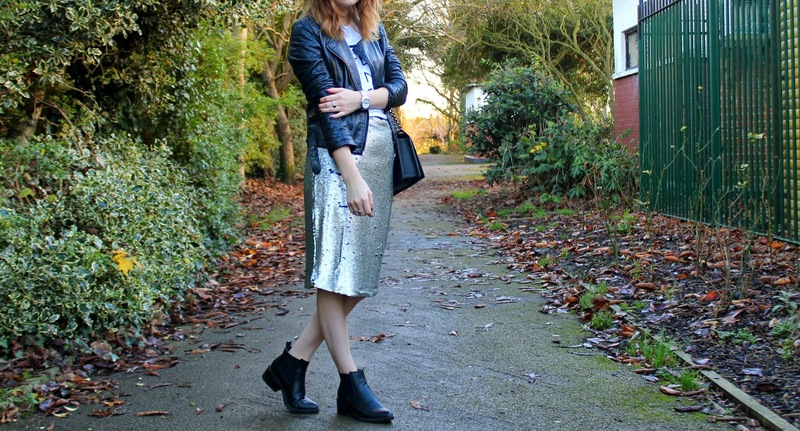 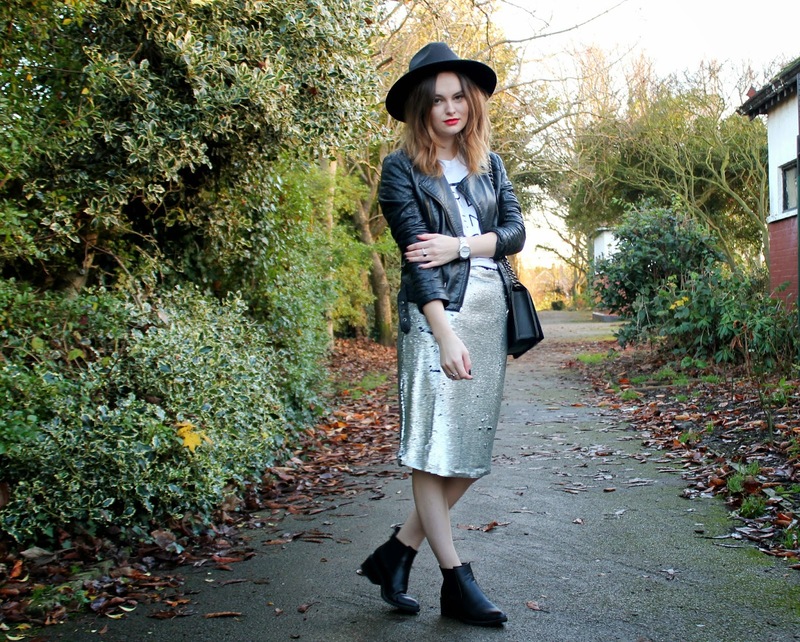 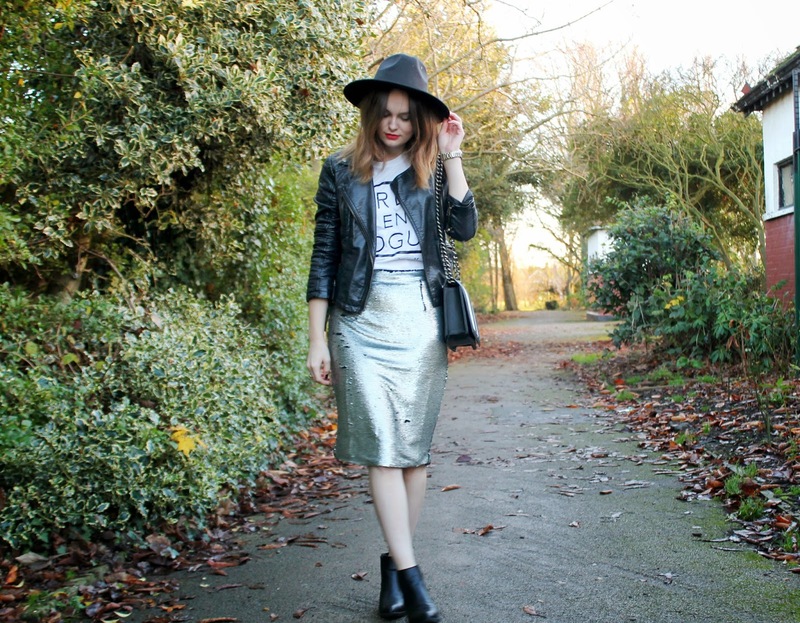 'Tis the season for a good ol' sequin and I have well and truly fallen in love with this silver Lavish Alice number. 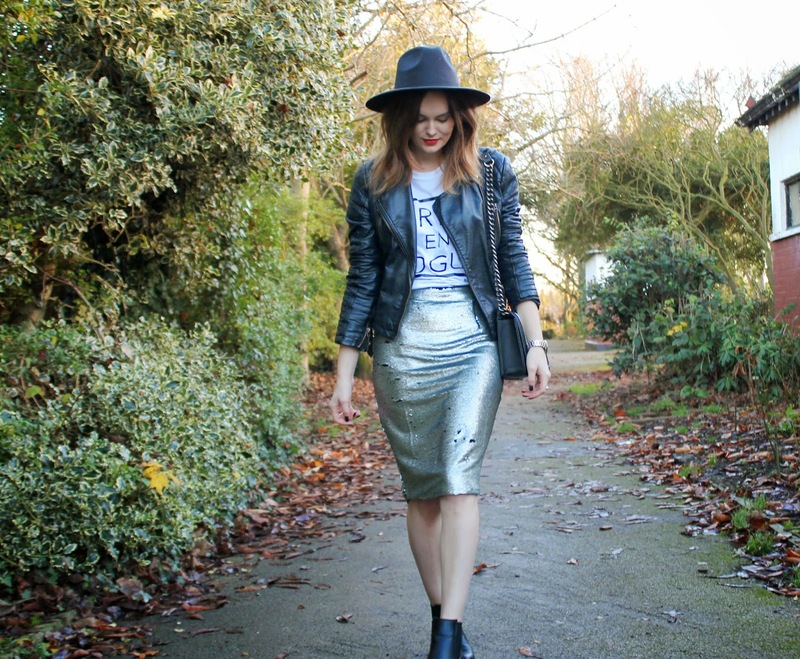 I absolutely love the length and fit of this skirt, I've chosen to keep it casual with a slogan tee and trusty leather. 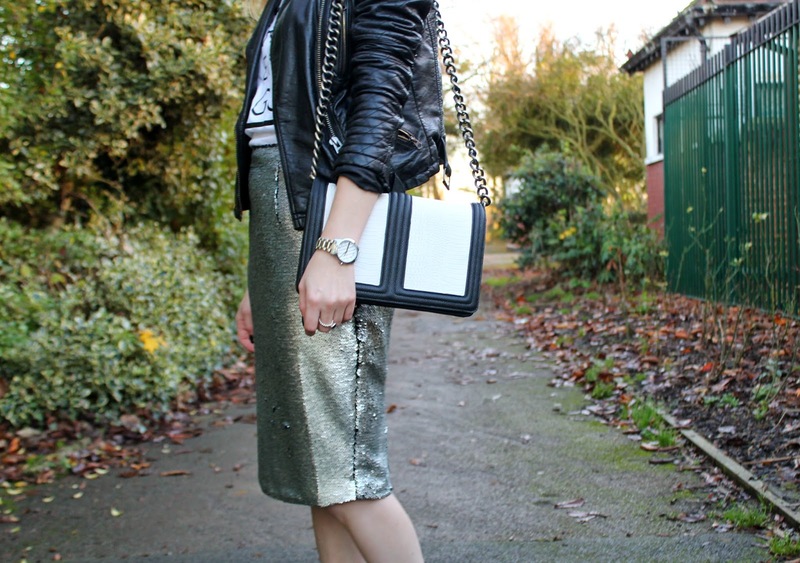 It's no secret around here that I love a multi purpose item, and I can already see lots of outfit options for the Christmas party season to dress this baby up!